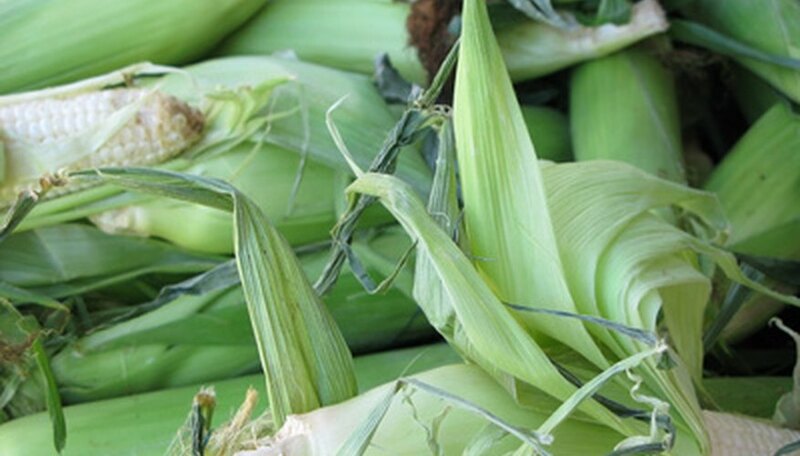 Grow Silver Queen corn in your backyard to enjoy a bountiful harvest of 9-inch-long, pale ears of sweet-tasting corn. This hybrid variety is prized because of its vigorous growth--with the right growing conditions, it can reach a height of almost 10 feet--and resistance to several diseases that plague traditional varieties of corn. Sow kernels obtained from most garden stores and nurseries and you'll have your first Silver Queen harvest within three months. Choose a garden plot for your Silver Queen corn plants. Corn requires full sun to thrive. Make sure the plot receives at least six hours of direct sunlight per day. Prepare the garden plot. Remove all surface vegetation and debris like rocks or sticks. Take a spade and break up the dirt to a depth of 6 inches. Fertilize the soil. Stir in 2 inches of aged compost to instantly boost the soil's nutrient levels and its ability to absorb moisture. Then, add a standard liquid or dry 5-10-10 or 10-10-10 vegetable fertilizer. Follow the specific fertilizer's labeled guidelines, as potency varies by product. Sow the Silver Queen corn kernels. Sink each seed 1/2 inches into the ground. Cover it with dirt and pat it gently to help settle the soil. Keep each Silver Queen corn kernel separated from the next kernel by 1 foot. If you are sowing multiple rows of Silver Queen corn, space the rows apart by 36 inches. Water the corn two times a day. The kernels will sprout within 10 days. Continue watering the Silver Queen corn twice daily, nothing the corn plants' foliage to determine if you're watering enough. If the corn starts wilting, increase your watering. Fertilize the Silver Queen corn a second time once it starts producing ears of corn. Corn plants are very voracious feeders and need lots of soil nutrients to support proper kernel development. Administer another application of the fertilizer you used in Step 3. Silver Queen corn is ready for harvesting within 90 days of sowing, but this may vary slightly depending on your soil condition, climate and management practices. To check if the corn is ready, inspect the end of the corn ear that's furthest from the plant. It should be firm to the touch and covered in full-sized kernels.